Amp is a range of small lamps inspired by old tube amplifiers from the 1960s. The unique shapes and classic materials of marble and glass add a nostalgic yet contemporary feel. The bulb holder is made of green marble and has a colour matched fabric covered flex. 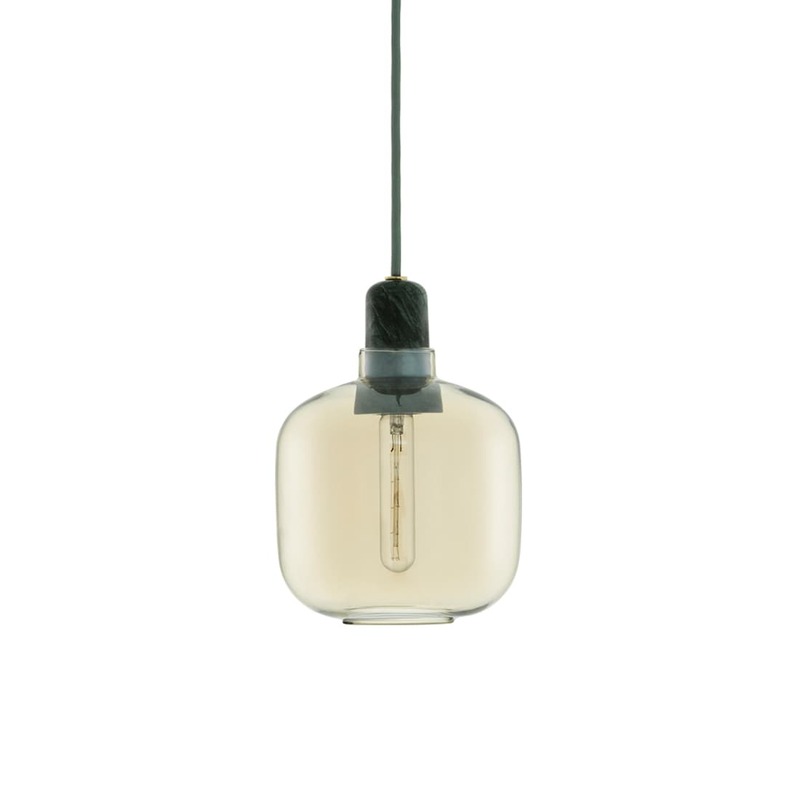 The pendants are provided with 4 m textile and canopy in a matching colour.